Ask NFL fans who the best defensive lineman in the NFL is, and you will likely hear one of two names. 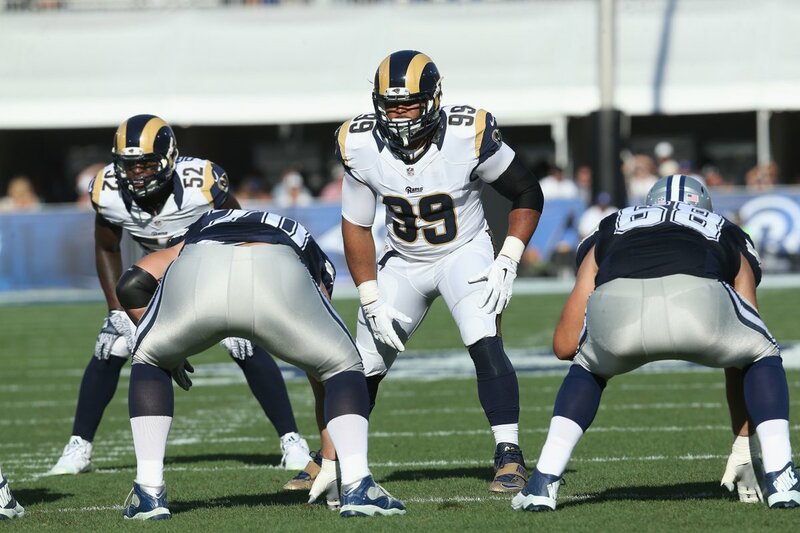 One will be Houston Texans superstar J.J. Watt and the other Los Angeles Rams defensive tackle Aaron Donald. Both are worthy of the title, but only one is currently being paid in accordance with his worth. It should be a pretty easy situation to remedy. Donald has proven himself over the course of his three years in the NFL. He is definitely worth much more than the $1.8 million that he is set to make this season. So why aren’t the Rams paying the man? It’s a fair question. But at the same time, it is only fair to ask another question. Why should they pay Donald now? Is he worth more? Yes. Is he under contract for two more years? Yes. Does the organization owe him a pay raise now? No. He is not due for a raise for two more years. So, why should the Rams have to give him one right now? They shouldn’t have to. Yes, the average career for a player is short, especially for interior linemen like Donald. So, it only makes sense that he would want to maximize his earning potential while he can. That is often the excuse given when players like Donald hold out and demand more money before they are due to get it. If that is okay, then we shouldn’t complain when owners cut underperforming stars when they have a couple of years left on their contracts. But we always do. If players do not have to honor contracts when they play well, why should owners honor them when players don’t? Many fans will cry that it isn’t fair to guys like Donald. Why should he do what he does for $1.8 million when there are plenty of guys doing less and making more? Easy—because the NFL is a business. Sometimes, in business, the deal favors one side. Sometimes it favors the other. Is Andrew Luck living up to the expectations that came with his massive deal? No. Is Dak Prescott worth more than the six-figures he’s getting paid this season? Yes. That way, when they feel like they’ve proven their worth is more than they are getting paid, they will be in a position to renegotiate. If the team the decides to pay him—great. If it doesn’t, someone else will. The next time the CBA is negotiated, the players need to push for the option of shorter deals coming out of college or have opt-out clauses (for both sides) mandated after three years. The owners can tack on a fifth year if they want to. The players should be able to cut one off and opt out after three. As things stand right now, it looks like the players—in this case, Donald – want to have their cake and eat it too. They want to have the security of a long-term contract with guaranteed money, but they don’t want to have to honor that contract in case they play better than expected. Is there a job in the world that allows employees to do that? 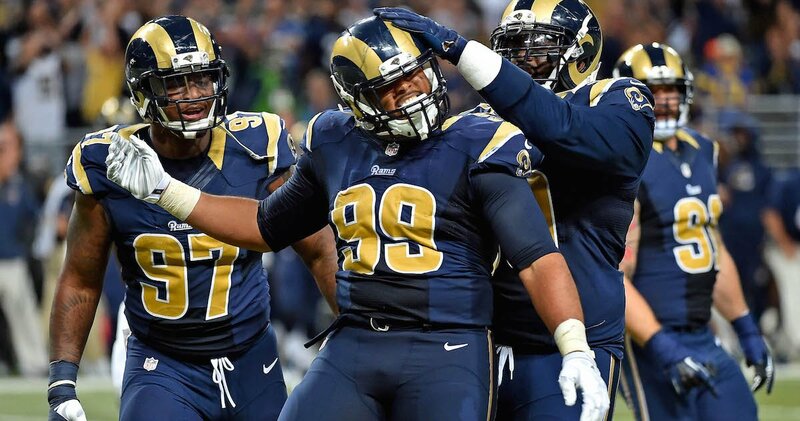 According to the rumor mill, the Rams have offered Donald a six-year, $120 million deal and they are working on an opt-out clause after Year Three. If that is indeed the case—fantastic; great for him! But the Rams should make him pay every penny of the fines he’s accrued for not reporting on time. If he hasn’t done what he is contractually obligated to do, he should pay. But the rumor mill is also making it sound like the two sides are nowhere near an agreement and like he may hold out into the season. If he holds out for the season, he will not gain a year of service and will still be two years away from free agency. And in the same position as he is right now.